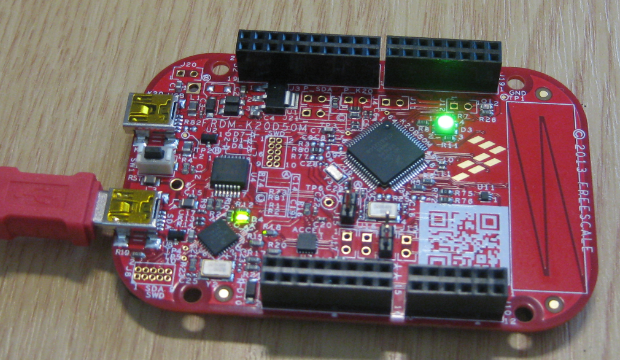 Freescale/Farnell/Element14 announced last week a new Freedom Board: the FRDM-K20D50M :-). As you can expect, I was not able to resist, and ordered one from my local Farnell store right away. So I did my first steps with it on this sunny and wonderful weekend (yes! we skipped Spring Time and entered Summer Time right away!). I do not need to compare the board with the previous Freedom boards, as I have found an article here. I a nutshell: I get pretty much the same as with the FRDM-KL25Z, but instead of an ARM Cortex-M0+, it has an ARM Cortex-M4! 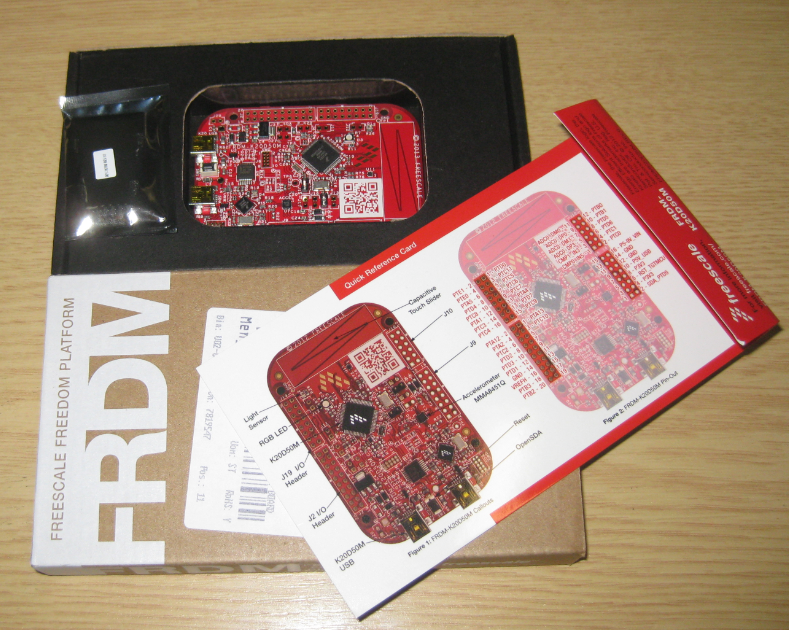 Farnell.ch sold me the FRDM-KL25Z for CHF 17.05, while the FRDM-K20D50M is listed for CHF 32.25. That’s about twice the price of the FRDM-KL25Z :-(. Ok, I get an ARM Cortex-M4 instead of an ARM Cortex-M0+, but what else? Let’s see. The box includes a small bag with the 4 dual-row headers. Nice! That justifies at least some of the higher price. There are two crystals: one 32 kHz and one 8 MHz one. I noted that many pins on the dual row headers are marked as NC (Not Connected). So J9 could have been a single row header (which would be cheaper?). 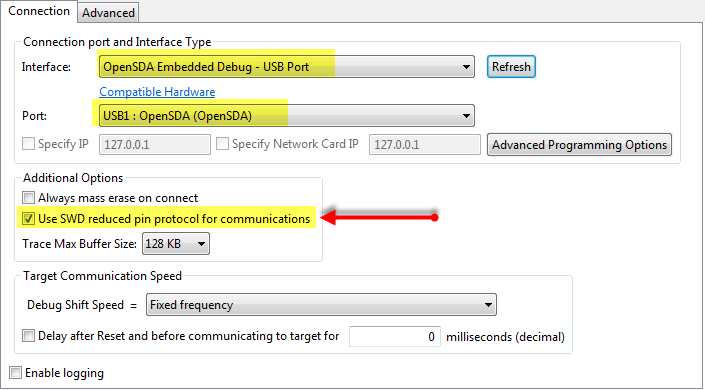 Freescale provides at this link an updated OpenSDA package plus bare-metal source code and examples. The source code package is not what I need in the first place as I already have a lot of drivers with Processor Expert, but always good to have such a package. The Quick-Start Package (FRDM-K20D50M_QSP.zip) has an updated OpenSDA debug application and mass storage bootloader. The board has the same OpenSDA on-board debug connection, so I had first to load the Debug Application (same procedure as for the FRDM-KL25Z: press the reset button on power-up, load the OpenSDA Debug App, re-power the board). 💡 To get to the dialog below: menu Run > Debug Configurations, press ‘Edit…’ button on the Connection in the ‘Main’ tab of the debug connection. The CodeWarrior project is available on GitHub here and will be extended over time. I’m happy with what I was able to carry out with the board in a very short time. It is a great addition to my set of boards, especially as it can interface with Arduino (compatible) shields. 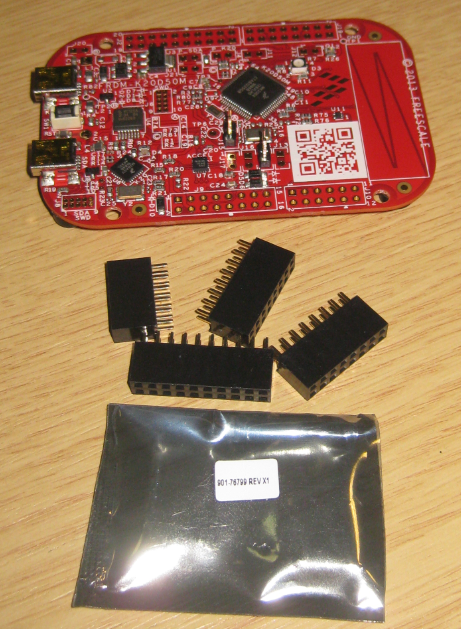 And I want to run my Zumo with it so I have a little red+black robot :-). That will be a lot of fun: I already have some ideas how to use the temperature and ambient light sensors :mgreen:. This entry was posted in Boards, CodeWarrior, CPU's, Debugging, Eclipse, Embedded, Embedded Components, FreeRTOS, K20D50M Freedom Board, Kinetis, Processor Expert and tagged arm gcc, CodeWarrior, codewarrior project, Eclipse, Embedded Component, freedom board, FreeRTOS, gnu gcc, led component, open source projects, Processor Expert, software, software project by Erich Styger. Bookmark the permalink. STM32 has perfect peripheral libraries. Very well documented and easy to use – way better approach than processor expert. I became less faithful to Freescale chips when I wanted more RAM and more UARTs. Right now I’m in limbo. I found that in PIC32, as Erich stated, software is everything and the Microchip tools are just awful. The debugger is unusable for any large project. I’m now experimenting with the STM32 ARM chips. I find the STM32 libraries to be awkward to get used to. And certainly not without bugs. But I love the added elbow room, Flash code space and RAM especially of their chips. 192K RAM on the STM32F4 Discovery. That is a decent eval board, for USD $15 from Digi-Key. I find things don’t seem to be thought through we well though as Freescale. 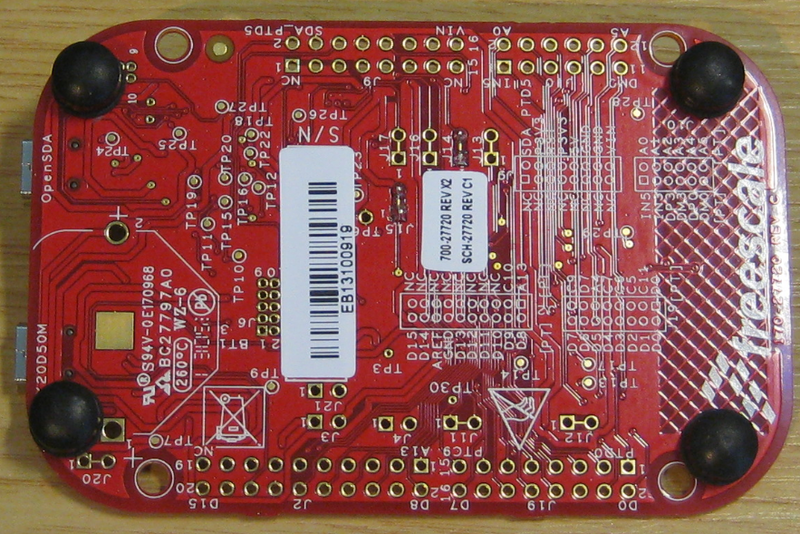 For example the STM32F3 and F4 versions of the Discovery boards have a just slightly different pinout. Enough so you can’t make “shields” that work on both. I guess I still like the overall Freescale experience better. @But I love the added elbow room, Flash code space and RAM especially of their chips. What about the NXP M4/M0 Combination with 1MB Flash and 264 kB SRAM, if you really need more Memory? Yes, 3.3V is connected to VBat-Pin via J15! This is really ‘good News’ ….. I agree, Processor Expert is really indispensable once you have used in an entire project… then there is no turning back (rest is just sand indeed!). I wish there was more consistency between 8-bit components vs. Kinetis LDD components. I am always amused when certain unique hardware features of MCUs become a reason for a its choice. Especially hearing from folks disciplined about code portability across vendors, but just throwing this portability out of the window due to a specific MCU uniqueness. Your Processor Expert examples have been very helpful. Keep up the great work! 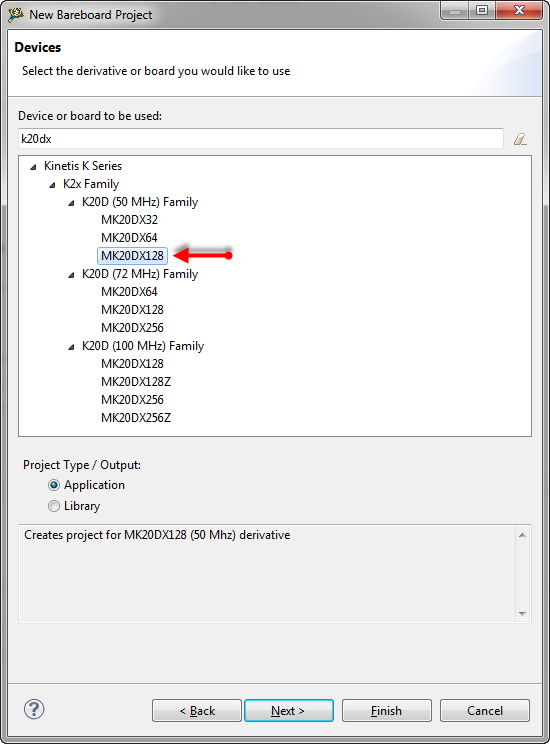 Yes, these LDD introduced with Kinetis (see https://mcuoneclipse.com/2012/07/26/there-is-a-time-and-date-for-both-worlds/) was breaking my hard work to keep things compatible across different platforms and microcontrollers. I pushed hard on getting the ‘High Level Beans’ back. The good news is: they are (mostly) back with MCU10.3, so I’m pretty much back on track. In my lecture, students develop a closed loop motor control application, and they use the same software with S08 (8bit), ColdFire V2 (32bit, Big Endian) and Kinetis-L (KL25Z Freedom board, Little Endian). With Processor Expert this is easily possible. I have this board, and I’m trying to get it working with Eclipse / CodeWarrior / ProcessorExpert. I use Eclipse all the time for enterprise Java, Ruby and C development, but the CW and PE additions make it look and operate very differently. I downloaded and installed “Special Edition: CodeWarrior for Microcontrollers 10.3 (Eclipse, Online)” from http://www.freescale.com/webapp/sps/site/prod_summary.jsp?code=CW-MCU10&fpsp=1&tab=Design_Tools_Tab – I hope this is the correct version. I have tried following your Processor Expert “quickstart” ( https://mcuoneclipse.com/2012/03/09/quickstart-for-processor-expert-in-eclipse/ )in conjunction with this article but so far I am not able to run any code. I was wondering if you could help at all? I know the board and the USB connection are working, as I was able to update the bootloader and drop in the example programs as described in the Quick Start package. I created a PE project and saved/built it without problems, but when I tried to run the debugger It gave an error because it can’t find the target board. After a lot of hunting around, I found something which looks like the “OpenSDA Debug Connection” dialog you show above, but even though I have selected OpenSDA and clicked “refresh” it still refuses to find any valid USB devices to communicate with. the OpenSDA is either in MSD Bootloader mode (this is what I think you have), or in Debug mode. In Bootloader mode it enumerates as MSD/Memory stick, so you can copy S19 files. But in order to debug it, you need to load the DEBUG-APP_Pemicro_v102.sda (or later). Then the debugger can connect to it. Thanks very much for the quick and helpful response, Erich. I now have a simple Processor Expert program running on all three of my Freedom boards! you are not alone with this. I have seen many users confused or trapped by the fact that for debugging there is a different application needed. You stated that, to use the OpenSDA, “change the Interface in the debugger settings from P&E Multilink to OpenSDA.” Where is the screen located (what menu selection)? I have searched through every menu item that seemed logical, and I can’t find the Connection screen. Sorry, as I’m dealing with the debug connections all the time, it was clear to me. But clearly, that might not be the case for everyone. It is in the connection settings of the launch configuration: Use the menu Run > Debug Configurations, press ‘Edit…’ button on the Connection in the ‘Main’ tab of the debug connection. I have updated the post with that information, so thanks for asking! Thank you. Although I have been using CodeWarrior, and Processor Expert for about five years, I have only used the P&E programmer/debugger, and never needed to change the connection. The OpenSDA could be a good option for teaching (the students would not need a separate programmer). hi erich great blog. I just received my k20d50m, I’m wanting to use your freertos project as a baseline for going forward and tweaking stuff. I’m having trouble understanding how to open a project from your github. I’m new to eclipse/codewarrior/processor expert. I’m having a hard time finding example projects to start from just to get comfrotable with the ins and outs of the board…any tips would be appreciated. The easiest is if you download the zip file from GitHub (https://github.com/ErichStyger/mcuoneclipse/archive/master.zip), then unpack it into your Processor Expert working directory (it is C:\ProgramData\Processor Expert\CWMCU_PE5_00 on my machine). Restart Eclipse. Then you can import (or drag&drop) the K20d50 FreeRTOS project into the Eclipse IDE. thanks for the tips. I got the environment setup thanks to your link. i have a some questions about your freertos project. Is this just a blank project where you can setup tasks and do whatever you want in the application code. I was trying to look at an old in depth example you had of using free rtos, but it was an older freedom board and older version of CW and looked like you were setting up tasks in main(). I bought this board hoping to get some experience of using an rtos (freertos) and I saw this post and thought it was perfect. Is there a version that has the blinking LED already setup and running within the RTOS project. The most helpful to me is to be able to load a working project, and slowly read through and understand and make changes little by little to understand the rtos and board. Trying to use the freertos project is a little more complex than using the freescale demos, but I think will be better for ongoing tinkering and setting a better foundation for more complex projects. Can you post the blinky rtos project, or provide a quick run through of adding simple blinky LED tasks to the template project in github? Is this project good to go as is except for tasks? I’m a little sketchy on when i see your examples changing a bunch of configurations in the freertos component, but those are older examples and this project is specific to this board no? Thanks for the help, and honestly this is a great blog, your dedication and detailed posts are great. what do you mean with ‘older’ Freedom board? The FRDM-KL25Z? 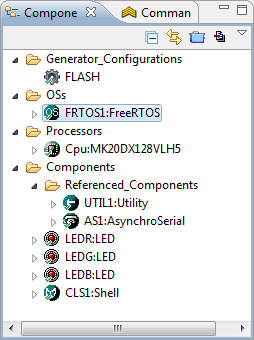 The FRDM-K20_FreeRTOS project just has a little bit more than the blinky LED with FreeRTOS (it uses the accelerometer, shell and shell trace), but that’s very easy to rip off. If the tasks are in ProcessorExpert.c or in its own source file, really does not matter. I recommend that you take some time to go through the sources, and I hope things are not too complicated for you to learn. The projects I discuss or the sources for the tutorials in this blog are available on GitHub (https://github.com/ErichStyger/mcuoneclipse/tree/master/Examples), and it is possible to downloade all of them as a single zip file (with the Processor Expert components in it). Please read the wiki pages (https://github.com/ErichStyger/mcuoneclipse/wiki). yes, that project should work out of the box, *but* you need the Processor Expert components present/installed. I’m just guessing that you missed that step maybe? Now I can try to debug it, but i imagine it’s something i’m doing wrong with not generating processor expert code or something along those lines that I’m unfamiliar with this IDE or processor expert or it looked like if these aren’t declared for the “additional” modules besides the LED ones that i grabbed the repository when you were in the middle of adding features and i shouldn’t expect it to build. So my next step was going to be build up freertos blinky led project for this board from scratch using the processor expert components and try that way, but since you confirmed this project should build as-is, i’m curious about what I’m doing wrong, because i have imported the PE stuff to it’s install folder and that’s all fine i believe. that looks like the linker complains about this. Not sure why this is happening to you. and vPortEnterCritical() is defined in port.c. The fact that the linker/compiler is complaining about taskENTER_CRITICAL() tells me that somehow I2C1.c does not include task.h. So to me it looks like you have not the latest and greates FreeRTOS Processor Expert component files? I'll send you an email with the FreeRTOS component as *.PEupd file to make sure you have the right files installed. Thanks, I grabbed your latest commit to github and updated the PE drivers and beans and tried the updated project and it built fine. so it fixed that, i dunno what the deal was, i literally grabbed it the day i posted having trouble…dunno, but thanks for the help. tried it real quick before i head to bed and It built, so now begins my digging and learning time starting tomorrow (need sleep…going to pass out). Again appreciate the help and love the blog. Glad to hear that things seems to work out. Related to this, I have just published *.PEupd files (see https://mcuoneclipse.com/2013/05/09/processor-expert-component-peupd-files-on-github/) so this should hopefully make things easier for everyone. 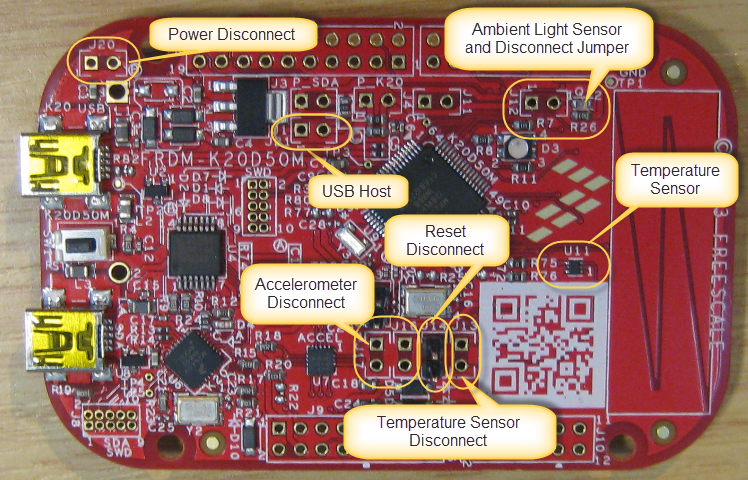 I´m working in a project with CANbus, I want a freescale microcontroller, the FDRM-K20D50M is a good option but the uController I need is this: http://mexico.newark.com/freescale-semiconductor/mk20dx64vlh7/mcu-kinetis-k20-cortex-m4-64lqfp/dp/27W5244?in_merch=Popular%20Products. If I remove the original Cortex M4 from the board ¿Can I program and debug this other “micro” whith the FDRM-K20D50M? I don’t think you will be able to use the on-board OpenSDA if you change your processor, with the original OpenSDA firmware. You need a different firmware e.g. 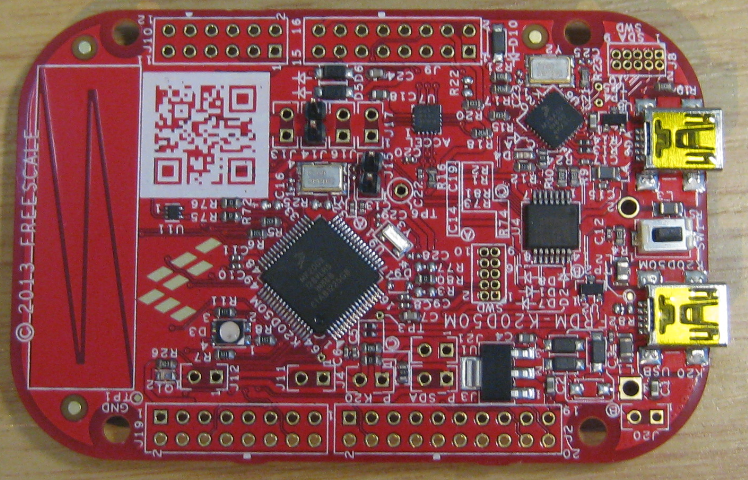 Segger (https://mcuoneclipse.com/2013/05/16/freedom-board-with-segger-opensda-debug-firmware/) or USBDM (https://mcuoneclipse.com/2013/04/27/debug-external-processors-with-usbdm-and-freedom-board/) for this. I have been using CodeWarrior and Processor Expert for about 5 years, and this has never happened before. I created a new project for the FRDM-K20D50M board (CodeWarrior V10.4). It compiled with no errors; it downloaded to the board; and it ran fine (it was just in a for loop). The Processor Expert project MK20 Test was NOT generated because of some error. See Problems view for more details. I have used the PWM component many times before on Coldfire processors, and have never had a problem. Does anyone have any idea what is wrong? This should be simple. I have not seen something like this neither. Maybe it helps if you close and re-open the project? It looks like the timer name is a problem, so maybe selecting another timer might get that error going away? If you want (and can), you can send me that project to my email address on the about page of this blog, and I have a look from my side. Well, after working on the problem for several hours, and then posting this question, I found the solution – project names cannot contain spaces. At least, I think that was the problem. As soon as I removed the space in the project name, everything worked. I always used spaces in earlier Coldfire projects, so this did not occur to me. The error message was also not very helpful. Anyway, thank you. I think that just taking the time to write down the problem, and getting away from Coldfire for a few minutes helped. Once in the early ’80s I managed to create a Unix filename of just a Ctrl+G bell character. That was a weird one. good catch! I have not thought about this one. But of course these kind of things have teached me that I avoid spaces. But that error message is really odd and would not point to the right problem. The other odd thing is that the project compiled, downloaded, and ran in the debugger until I tried to add the PWM component. That is what really threw me off track. I was able to reproduce your problem and have it submitted to Freescale so they can have a look. Interestingly it seems to work for other components (project with spaces), but not for the PWM component. The error has returned, and now there are no spaces in the project name. I am trying to use the Pololu Dual MC33926 Motor Driver Shield with the FRDM-K20D50M (the FRDM-K20D50M is supposed to be compatible with Arduino Shields). The PWM signals for the motor driver shield are on PTA2 and PTC2 (corresponding to FTM0_CH7 and FTM0_Ch1). When I first configured the PWM for PTA2, there was an error because the pin interfered with the JTAG. I am using the SDA, so I disabled the JTAG, and the error disappeared. This is the same error that appeared when there were spaces in the file name. Interestingly, I can set up PTD4 (FTM0_CH4) as a PWM, and blink the onboard LED, with no errors. This also works when the JTAG is disabled, so that is not the problem. In summary, if you set up PTD4 as a PWM, and have spaces in the project name, the “unknown macro” error appears. If you get rid of the spaces in the project name, the error disappears; and PTD4 works properly as a PWM. If you set up PTA2 as a PWM, the “unknown macro” error appears, even with no spaces in the project name. Sorry for the long post. Any help would be greatly appreciated. If PTC3 FTM0_CH2 is configured as a PWM, everything works fine. If PTD4 FTM0_CH4 is configured as a PWM, everything works fine. If PTA2 FTM0_CH7 is configured as a PWM, the “unknown macro” error appears, and nothing works. At this point, PTC3 and PTD4 stop working as PWMs. If you reboot the computer, the project works again, including PTA2, until you try to configure, or reconfigure, another PWM. At that point, you need to reboot the computer again to make it work. I have tried this several times, with the same results. At least there seems to be a work-around (rebooting frequently), but it is a long work-around. that’s really strange. I have asked my contact in Freescale, so hopefully he could help out. As for the workaround: when I have seen strange things with Processor Expert (expecially errors not going away), it helped to right click on the project and close it, and then re-open it. This triggers re-loading of the file, and this worked in my cases. Not sure if this helps you, but rebooting the machine definitely is not good. While thinking more about this one, and you say that reboot helped. I know that Processor Expert generates some temporary files inside the windows temp folder (for me it is C:\Users\\AppData\Local\Temp). I clean that one up on a regular base. Maybe you have so many files in it, that this causes your problem? I have not tried your ‘advanced’ steps, but I was able to get the same error as you with creating a project with spaces, and then adding the PWM component. Just in case the cleaning of Temp might help. I have tried using “Clean,” but it doesn’t help. Sometimes, just closing CodeWarrior and then reopening it works, but not always. I will try closing and then reopening the project but, for now, there are no errors and I am afraid to change anything. Eventually, after a lot of rebooting and restarting, I did get the Pololu Dual Motor Driver Shield working properly. I am using a 200 us period, which produces a pretty steady output. Yes, agreed not changing it. Clean would not help in my view, as this would remove the object files/make files, and does not touch Processor Expert. Please could you tell me which is the way for disable JTAG in Codewarrior? Thanks! check the Cpu component properties: for some microcontrollers you can explicitily disable the JTAG pins. Otherwise map them to general purpose I/O pins. Depending on what you have in mind with this, there are pros and cons of this approach. If you want prevent access to the microcontroller, then securing the microcontroller is a better way.